William Edward Young, III transitioned this life on Thursday, March 14, 2019. “D. A.” as he was favorably known, was born February 6, 1945. He was employed with Evergreen Charter School and was formerly employed with Asheville City Schools. He was preceded in death by his parents William Edward Young, Jr. and Queen Esther Williams Young. He was educated in the Asheville City School System and graduated from the historic Stephens-Lee High School in 1963. He was a member of the Stephens-Lee Alumni Association, Stephens-Lee Historical Preservation Committee, and the Asheville Student Commission on Racial Equality better known as ASCORE. After high school, he attended North Carolina Agricultural and Technical State University in Greensboro, NC before enlisting in the United States Army where he served and received an honorable discharge. He also received a bachelor’s degree from the University of North Carolina at Asheville. Everyone also knew him as “Mr. A&T” because of his undying devotion and love for NC A&T State University. 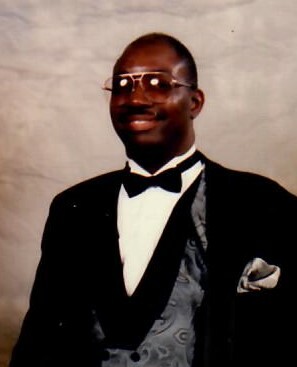 Mr. Young served as Chapter President of the Asheville Alumni Chapter of NC A&T State University for nearly two decades. For many years Mr. Young organized trips and tours to the university for hundreds of children from western North Carolina. His efforts influenced many students to attend the Greatest University on Earth and he always exuded the true meaning of “Aggie Pride.” Mr. Young represented the University on the local and regional levels. Mr. Young worked with Communities in Schools (CIS) to empower students to succeed inside and outside of the classrooms in order to become lifelong learners. He was also one of the founders of Gentlemen on the Move, an organization that helped young men to develop socially, morally, and intellectually. He was actively involved in the program "Getting Back to Basics," along with Buncombe County Sheriff Quentin Miller. It was a program for students to have the experience of learning to trust, work as a team, and problem solve. Left to cherish his memory is his son Bernon Lewis Mills, two step-children John and Ursula Houston, grandchildren Jamaal Payne, Tia Hayes (Daryl), Bernon Louis Mills, Jr., Faith, Elisa, Marissa, and Yasmine Mills and great- grandchildren Zaria, Tequan, Mia and Dominick, two brothers George Young (Shirley) of Asheville, NC and Ronald Young of Creedmoor, NC, two sisters Loretta J. Young and Delores E. Hubbard of Asheville, NC and a host of nieces, nephews, relatives, and friends. In lieu of flowers, the family has requested that donations be made to the Asheville Alumni Chapter of North Carolina A&T State University for student aide. Donations can be mailed to P.O. Box 2272, Asheville NC 28802 payable to: Asheville Alumni Chapter, NC A&T State U. Family and Friends will be received at 39 Hazzard Street at the home of Loretta J. Young. Funeral Services will be held Wednesday March 20th at 12pm at Nazareth First Baptist Church. The family will receive friends 1 hour prior to the service. Burial will be at 2pm after the funeral at the Western Carolina State Veteran's Cemetery in Black Mountain.